The Justice Department released two statements about the prosecution. Editor's note: An earlier version of this story misstated the dates that Serra Nissan reported 15 vehicle sales that were sold at a separate Serra store. 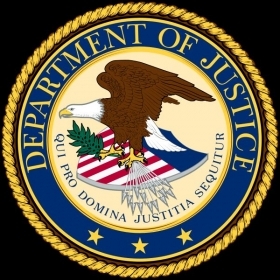 NASHVILLE -- The U.S. Justice Department charged the former general manager and controller of a Nissan dealership in Birmingham, Ala., with cheating on the automaker’s national sales incentive program. Randy Visser, 45, who was general manager of Serra Nissan, has been charged with directing store managers to falsify sales reports that were submitted to Nissan to receive incentive bonuses. According to a statement released by the U.S. Attorney for the Northern District of Alabama in Birmingham, prosecutors reached a plea agreement with Visser and he intends to plead guilty to one count of conspiracy. The statement says the actions resulted in Serra Nissan improperly receiving $64,800 in Nissan bonuses for 15 vehicles. Visser faces a maximum sentence of five years in prison and a $250,000 fine. In a separate announcement by the U.S. Attorney, Serra Nissan’s controller, Kimberly Branch, 34, has been indicted on 16 counts of conspiracy and wire fraud based on the same scheme. The statement claims that Serra Nissan reported 15 vehicle sales between March and April 2013 that actually were sold at a separate Serra store, and improperly received Nissan bonus payments for them. Nissan operates an ongoing national sales incentive program to reward dealers with cash bonuses for hitting monthly and quarterly sales targets. Before April 2014, some U.S. dealers complained Nissan was pushing them to reach sales targets that were too aggressive. The company and its national dealer advisory board collaborated to write a new sales incentive plan that was launched in April 2014. In April 2015, Nissan again revised the incentive plan in response to additional dealer complaints. Visser is the son-in-law of dealer Anthony Serra, CEO of Serra Automotive Group of Birmingham. Serra Automotive Group owns 19 dealerships and ranks No. 120 on the 2015 Automotive News list of the top 150 dealership groups in the United States with retail sales of 8,528 new vehicles in 2014. According to the statement released by the U.S. Attorney’s office, at all times relevant to the charges, Visser owned 49 percent of a separate store, Serra Visser Nissan in Cullman, Ala., approximately 50 miles from Serra Nissan in Birmingham. The statement says that Visser’s wife, Kristina Serra Visser, owned 2 percent of the Cullman store, while her father, Anthony Serra, owned 49 percent. The statement said that Kristina Serra Visser and her father each owned 50 percent of the Birmingham Serra Nissan store that improperly received that Nissan bonus payments. Jeff Ingram, a Birmingham attorney for Serra, said in an email to Automotive News that the alleged misconduct was an isolated incident and the charges “do not allege any wrongdoing on the part of Serra Nissan, Serra Visser Nissan nor their owners, Tony Serra and Kristina Serra-Visser." “The charges against Mr. Visser and Ms. Branch do not allege any wrongdoing that harmed dealership customers,” Ingram said. The charges against Branch were handed down by a grand jury that has been looking into Serra Nissan’s vehicle sales and lending activity for several months. Last fall, eight other Serra Nissan employees were charged by U.S. prosecutors with various counts of falsifying loan documents and sales information. All of those employees have pleaded guilty to their respective charges. Last month in U.S. District Court for the Northern District of Alabama, the first of the eight employees, former Serra Nissan sales manager Abdul Islam Mughal, was sentenced to 30 months in prison for falsifying loan documents.